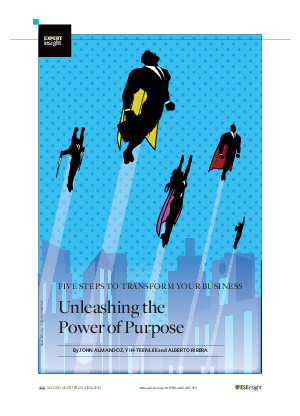 What’s the main purpose of your business? If it’s just to make money, you may find yourself coming up short, as that is generally not what inspires workers or generates lasting impact. Your business should be oriented toward some other-centered goal, in addition to making money, which will not only guide but inspire the behaviors and motivations of company actors toward some end that is primarily concerned with the organization’s beneficiaries, including customers and society at large.